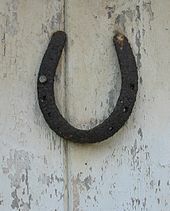 For other uses, see Luck (disambiguation). "Good luck" redirects here. For other uses, see Good luck (disambiguation). Luck is the concept that defines the experience of notably positive, negative, or improbable events. The naturalistic interpretation is that positive and negative events happen all the time in human lives, both due to random and non-random natural and artificial processes, and that even improbable events can happen by random chance. In this view, being "lucky" or "unlucky" is simply a descriptive label that points out an event's positivity, negativity, or improbability. Supernatural interpretations of luck consider it to be an attribute of a person or object, or the result of a favorable or unfavorable view of a deity upon a person. These interpretations often prescribe how luckiness or unluckiness can be obtained, such as by carrying a lucky charm or making sacrifices or prayers to a deity. Saying someone is "born lucky" then might mean, depending on the interpretation, anything from that they have been born into a good family or circumstance, or that they habitually experience improbably positive events due to some inherent property or the lifelong favor of a god or goddess in a monotheistic or polytheistic religion. 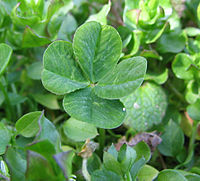 Many superstitions are related to luck, though these are often specific to a given culture or set of related cultures, and sometimes contradictory. For example, lucky symbols include the number 7 in Christian-influenced cultures, but the number 8 in Chinese-influenced cultures. Unlucky symbols and events include entering and leaving a house by different doors in Greek culture, throwing rocks into the wind in Navajo culture, and ravens in Western culture. Some of these associations may derive from related facts or desires. For example, in Western culture opening an umbrella indoors might be considered unlucky partly because it could poke someone in the eye, whereas shaking hands with a chimney sweep might be considered lucky partly because it is a kind but unpleasant thing to do given the dirty nature of their work. In Chinese culture, the association of the number 4 as a homophone with the word for death may explain why it is considered unlucky. Extremely complicated and sometimes contradictory systems for prescribing auspicious and inauspicious times and arrangements of things have been devised, for example feng shui in Chinese culture and systems of astrology in various cultures around the world. Many polytheistic religions have specific gods or goddesses that are associated with luck, including Fortuna and Felicitas in the Ancient Roman religion (the former related to the words "fortunate" and "unfortunate" in English), Dedun in Nubian religion, the Seven Lucky Gods in Japanese mythology, mythical American serviceman John Frum in Polynesian cargo cults, and the inauspicious Alakshmi in Hinduism. Luck is good or bad. Luck is the result of chance. Luck applies to a sentient being. 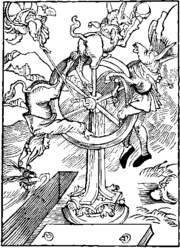 Before the adoption of luck at the end of the Middle Ages, Old English and Middle English expressed the notion of "good fortune" with the word speed (Middle English spede, Old English spēd); speed besides "good fortune" had the wider meaning of "prosperity, profit, abundance"; it is not associated with the notion of probability or chance but rather with that of fate or divine help; a bestower of success can also be called speed, as in "Christ be our speed" (William Robertson, Phraseologia generalis, 1693). The notion of probability was expressed by the Latin loanword chance, adopted in Middle English from the late 13th century, literally describing an outcome as a "falling" (as it were of dice), via Old French cheance from Late Latin cadentia "falling". Fortuna, the Roman goddess of fate or luck, was popular an allegory in medieval times, and even though it was not strictly reconcilable with Christian theology, it became popular in learned circles of the High Middle Ages to portray her as a servant of God in distributing success or failure in a characteristically "fickle" or unpredictable way, thus introducing the notion of chance. Luck is interpreted and understood in many different ways. Circumstantial luck—with factors that are haphazardly brought on. Accidents and epidemics are typical examples. More contemporary authors writing on the subject believe that the definition of good destiny is: One who enjoys good health; has the physical and mental capabilities of achieving his goals in life; has good appearance, and; has happiness in mind and is not prone to accidents. In the rationalist perspective, probability is only affected by confirmed causal connections. The gambler's fallacy and inverse gambler's fallacy both explain some reasoning problems in common beliefs in luck. They involve denying the unpredictability of random events: "I haven't rolled a seven all week, so I'll definitely roll one tonight". Philosopher Daniel Dennett wrote that "luck is mere luck" rather than a property of a person or thing. There is also a series of spiritual, or supernatural beliefs regarding fortune. These beliefs vary widely from one to another, but most agree that luck can be influenced through spiritual means by performing certain rituals or by avoiding certain circumstances. Luck can also be a belief in an organization of fortunate and unfortunate events. Luck is a form of superstition which is interpreted differently by different individuals. Carl Jung coined the term synchronicity, which he described as "a meaningful coincidence". What will happen to you for offering food and wine to the gods you call good luck and fate? Your luck will end. Belief in the extent of Divine Providence varies; most acknowledge providence as at least a partial, if not complete influence on luck. Christianity, in its early development, accommodated many traditional practices which at different times, accepted omens and practiced forms of ritual sacrifice in order to divine the will of their supreme being or to influence divine favoritism. The concepts of "Divine Grace" or "Blessing" as they are described by believers closely resemble what is referred to as "luck" by others. Mesoamerican religions, such as the Aztecs, Mayans and Incas, had particularly strong beliefs regarding the relationship between rituals and the gods, which could in a similar sense to Abrahamic religions be called luck or providence. In these cultures, human sacrifice (both of willing volunteers and captured enemies), as well as self-sacrifice by means of bloodletting, could possibly be seen as a way to propitiate the gods and earn favor for the city offering the sacrifice. An alternative interpretation would be that the sacrificial blood was considered as a necessary element for the gods to maintain the proper working order of the universe, in the same way that oil would be applied to an automobile to keep it working as designed. Many traditional African practices, such as voodoo and hoodoo, have a strong belief in superstition. Some of these religions include a belief that third parties can influence an individual's luck. Shamans and witches are both respected and feared, based on their ability to cause good or bad fortune for those in villages near them. Some evidence supports the idea that belief in luck acts like a placebo, producing positive thinking and improving people's responses to events. In personality psychology, people reliably differ from each other depending on four key aspects: beliefs in luck, rejection of luck, being lucky, and being unlucky. People who believe in good luck are more optimistic, more satisfied with their lives, and have better moods. People who believe they are personally unlucky experience more anxiety, and less likely to take advantage of unexpected opportunities. One 2010 study found that golfers who were told they were using a "lucky ball" performed better than those who were not. Some people intentionally put themselves in situations that increase the chances of a serendipitous encounter, such as socializing with people who work in different fields. The philosopher Nicholas Rescher has proposed that the luck of someone's result in a situation of uncertainty is measured by the difference between this party's yield and expectation: λ = Y - E. Thus skill enhances expectation and reduces luck. The extent to which different games will depend on luck, rather than skill or effort, varies considerably. For example, chess does not involve any random factors (beyond the determination of which player moves first), while the outcome of Snakes and Ladders is entirely based on random dice rolls. In poker, especially games with a communal board, pure luck may decide a winning hand. Luck in games involving chance is defined as the change in a player's equity after a random event such as a die roll or card draw. Luck is positive (good luck) if the player's position is improved and negative (bad luck) if it is worsened. A poker player who is doing well (playing successfully, winning) is said to be "running good". Almost all sports contain elements of luck. A statistical analysis in the book The Success Equation attempted to elucidate the differing balance between skill and luck with respect to how teams finished in the major North American sports leagues. This analysis concluded that, on a luck-skill continuum, the NBA had the most skill-dependant result while that of the NHL was most luck-dependant. A defining feature of a lottery is that winners are selected purely by chance. Marketing and other discussions regarding lotteries often mention luck. Most cultures consider some numbers to be lucky or unlucky. This is found to be particularly strong in Asian cultures, where the obtaining of "lucky" telephone numbers, automobile license plate numbers, and household addresses are actively sought, sometimes at great monetary expense. Numerology, as it relates to luck, is closer to an art than to a science, yet numerologists, astrologists or psychics may disagree. It is interrelated to astrology, and to some degree to parapsychology and spirituality and is based on converting virtually anything material into a pure number, using that number in an attempt to detect something meaningful about reality, and trying to predict or calculate the future based on lucky numbers. Numerology is folkloric by nature and started when humans first learned to count. Through human history it was, and still is, practiced by many cultures of the world from traditional fortune-telling to on-line psychic reading. Different thinkers like Thomas Kuhn have discussed the role of chance in scientific discoveries. Richard Wiseman did a ten-year scientific study into the nature of luck that has revealed that, to a large extent, people make their own good and bad fortune. His research revealed that "Lucky people generate their own good fortune via four basic principles. They are skilled at creating and noticing chance opportunities, making lucky decisions by listening to their intuition, creating self-fulfilling prophecies via positive expectations, and adopting a resilient attitude that transforms bad luck into good." Researchers have suggested that good luck and good mood often co-occur (Duong & Ohtsuka, 2000) and that lucky people are happy and optimistic whereas unlucky people feel anxious and depressed (Day & Maltby, 2003; Wiseman, 2003). Although previous studies have explored the antecedents and consequences of luck using attribution theory (e. g., Fischoff, 1976; Weiner et al., 1987), personality variables (Darke & Freedman, 1997a;b), and more recently a cognitive priming approach (DeMarree et al., 2005; Kramer & Block, 2008) research on the underlying mechanism of how luck influences consumer judgment and behavior has been noticeably absent in the extant literature. Moreover, in much of this previous work, luck is manipulated in a way that is very likely to elicit positive affect as well. Thus, it is difficult to articulate whether the observed effects of luck are due to chronic beliefs about luck, temporary changes in how lucky people feel, or because of changes caused by the positive affect that is experienced. Their research showed that priming participants subliminally with luck-related stimuli made them feel luckier and happier. It was also found that the effects of priming luck using subliminal messages increased participants' estimates of the likelihood of favorable events, their participation in lotteries, the amount of money they invested in relatively risky financial options and these effects appeared to be mediated by temporary changes in perceptions of luck rather than by affect). 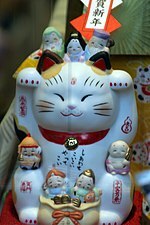 However, belief in luck is prevalent in many predominantly Buddhist countries. In Thailand, Buddhists may wear verses (takrut) or lucky amulets which have been blessed by monks for protection against harm. Proverbs 16:33 states "the lot is cast into the lap, but the whole disposing thereof is of the Lord". Ecclesiastes 9:11 states: "chance happeneth to them all". Proverbs 16:33 would indicate that something as random as the rolling of dice or the tossing of a coin is not outside of God's sovereign control. And, therefore, its results are not merely of chance. God's sovereignty involves two aspects. God's active will or sovereignty would involve something he causes to happen such as the leading of wicked King Ahab into battle (2 Chronicles 18:18-19). Ahab's death was not merely the result of a randomly shot arrow, but as 2 Chronicles 18 reveals, God actively directed the events that led Ahab into battle and used that randomly shot arrow to accomplish his intended will for Ahab that day. God's passive will involves him allowing, rather than causing, something to happen. Chapter 1 of the book of Job illustrates this in what God allowed Satan to do in the life of Job. It is also involved in the evil that God allowed Joseph's brothers to do to Joseph in order to accomplish a greater good, a good not apparent to Joseph until years later (Genesis 50:20). In Hinduism it is said that by proper worship, with a meticulous prayer procedure (Sanskrit: Shri Lakshmi Sahasranam Pujan Vidhi) the blessings of Lakshmi, the Hindu goddess of money and fortune, may be obtained. Lakshmi Parayan (prayer) is performed in most Hindu homes on the day of Diwali, the festival of lights. At that time also Rangoli are drawn, decorative designs on floors of living rooms and courtyards during Hindu festivals that are meant as a sacred welcoming area for the luck. The definition which is much closer to the concept of luck in Islam is "a force that brings good fortune or adversity" Quran 17-13 (Isra): "And (for) every man We have fastened to him his fate(fortune) in his neck, and We will bring forth for him (on the) Day (of) the Resurrection a record which he will find wide open". However, there is a very long discussion on how this prefixed destiny, fortune or luck defines attitudes and living behavior and so as to how much amends one can make in this predetermined fate by one's own contribution through positive actions in accordance with the teachings of Islam. There is no concept of luck in Islam other than actions determined by Allah based on the merit of the choice made by human beings. It is stated in the Qur'an (Sura: Adh-Dhariyat (The Wind that Scatter) verse:22) that one's sustenance is pre-determined in heaven when the Lord says: "And in the heaven is your provision and that which ye are promised." However, one should supplicate towards Allah to better one's life rather than hold faith in un-Islamic acts such as using "lucky charms". However, in Arabic language there is a word which directly means "luck", which is حظ ḥaẓẓ, and a related word for "lucky", محظوظ maḥẓūẓ. It is also forbidden to believe in luck or anything else related to luck, as it is classified as shirk (associating partners to Allah or giving any share of any attribution which belongs to Allah and Allah alone). The Tunisians retain some native beliefs of Berber origin such as the evil eye. 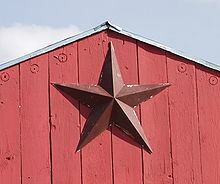 A number of practices, such as shutters painted blue are also used to repel evil spirits. Darke and Freedman (1997) were the first researchers systematically to address directly both the concept and the measurement of belief in luck as a deterministic and personal attribute. They define luck belief as the perception that good luck is "a somewhat stable characteristic that consistently favors some people but not others". They define disbelief in luck as "a tendency to agree with the rational view of luck as random and unreliable" (p. 490). To capture their unidimensional definition of irrational luck belief, Darke and Freedman developed a 12-item measure. Unfortunately, they found their measure "does not seem particularly good at distinguishing between people who [say] they [are] typically lucky from those who [say] they [are] typically unlucky". They also found factor analyses of their measure produced a multi-component solution, as did Prendergast and Thompson (2008). André (2006) proposed a model of luck-related perceptions that includes separate positive and negative beliefs. However, she found the positive and negative components of personal luck beliefs correlate highly, suggesting they are conceptually very close or in fact the same. Maltby et al. (2008) proposed a 6-dimensional model of beliefs around luck, but empirical analyses supported only a 4-dimensional model: belief in being personally lucky; belief in being personally unlucky; general belief in luck; and rejection of belief in luck. Thompson and Prendergast (2013) clarified the concepts of belief in luck and belief in personal luckiness. They addressed the logical problem that nobody who disbelieves in luck could consider themselves lucky by differentiating between belief in luck as a deterministic phenomenon that affects the future, on one hand, and on the other, belief in personal luckiness as an appraisal of how fortunately or otherwise chance events in the past might have turned out. They developed and validated an internationally applicable scale to measure, respectively, belief in luck and personal luckiness constructs. They found no correlation between the constructs and no evidence of a distinction between positive and negative aspects of each, suggesting they represent two discrete and unidimensional constructs. Belief in luck and personal luckiness were also found to correlate differently with personality and psychological variables, such as the Big Five and affect. Hartman, Robert (ed. ), Routledge Handbook of the Philosophy and Psychology (London: Routledge, 2019). ^ Rescher, N., Luck: the brilliant randomness of everyday life p. 32. "Luck accordingly involves three things: (1) a beneficiary or maleficiary, (2) a development that is benign (positive) or malign (negative) from the stand point of the interests of the affected individual, and that, moreover, (3) is fortuitous (unexpected, chancy, unforeseeable.)" ^ CHANCE News 4.15 ...the definition in the Oxford English dictionary: "the fortuitous happening of an event favorable or unfavorable to the interest of a person"
^ Rescher, N., Luck: the brilliant randomness of everyday life p. 28. "Luck is a matter of having something good or bad happen that lies outside the horizon of effective foreseeability." ^ Rescher, N., Luck: the brilliant randomness of everyday life p. 32. "Luck thus always incorporates a normative element of good or bad: someone must be affected positively or negatively by an event before its realization can properly be called lucky." ^ Rescher, N., Luck: the brilliant randomness of everyday life p. 32. ..."that as a far as the affected person is concerned, the outcome came about "by accident." "
^ Sumit Kumar Sirkar, Pothi (2010). "How to be Lucky and Successful in Life". Pothi.com. p. 5. Retrieved 2012-10-04. ^ Elbow Room by Daniel Clement Dennett, p. 92. "We know it would be superstitious to believe that "there actually is such a thing as luck" - something a rabbits' foot might bring - but we nevertheless think there is an unsuperstitious and unmisleading way of characterising events and properties as merely lucky." ^ Burland, C. A (1985). The Aztecs: gods and fate in ancient Mexico. London: Orbis Publishing. ^ a b Maltby, J., Day, L., Gill, P., Colley, A., Wood, A.M. (2008). Beliefs around luck: Confirming the empirical conceptualization of beliefs around luck and the development of the Darke and Freedman beliefs around luck scale Personality and Individual Differences, 45, 655–660. ^ Zare, Douglas. "A Measure of Luck". Retrieved 12 June 2013. ^ Miller, Ed (Nov 27, 2009). "The Pitfalls of Running Good". CardPlayer.com. Retrieved 11 April 2014. I've always thought that one of the worst things that can happen to new poker players is for them to run really good right out of the gate. If they rack up a number of big wins early on, a couple of bad things can happen. ^ a b Wiseman, R. (2003). The luck factor. London, UK: Random House. ^ Duong, T.,&Ohtsuka, K. (2000). TheVietnamese-language SouthOaksGambling Screen for the Australian context. In J. McMillen, & L. Laker (Eds. ), Developing strategic alliances: Proceedings of the 9th National Association for Gambling Studies Conference, Gold Coast, Queensland 1999 (pp. 161−171). Kew, Australia: The National Association for Gambling Studies. ^ Wiseman, R., & Watt, C. (2004). Measuring superstitious belief: Why lucky charms matter. Personality and Individual Differences, 37, 1533−1541. ^ Fischoff, B. (1976). Attribution theory and judgment under uncertainty. In J. H. Harvey, W. J. Ickes, & R. F. Kidd (Eds. ), New directions in attribution research (Vol. 1, 421−452). Hillsdale, NJ: Erlbaum. ^ Weiner, B., Frieze, I., Kukla, A., Reed, L., Rest, S., & Rosenbaum, R. M.(1987). Perceiving the causes of success and failure. In Edward E. Jones, David E. Kanouse, Harold H. Kelley, Richard E. Nisbett, Stuart Valins, & Bernard Weiner (Eds. ), Attribution: Perceiving the causes of behaviors pp. 95−120. Hillsdale, NJ: Lawrence Erlbaum. ^ Darke, P. R., & Freedman, J. L. (1997a). The belief in good luck scale. Journal of Research in Personality, 2, 486−511. ^ DeMarree, K. G., Wheeler, S. C., & Petty, R. E. (2005). Priming a new identity: Self-monitoringmoderates the effects of nonself primes on self-judgments and behavior. Journal of Personality and Social Psychology, 89(5), 657−671. ^ Kramer, T., & Block, L. (2008). Conscious and non-conscious components of superstitious beliefs in judgment and decision making. Journal of Consumer Research, 34(6), 783−793. ^ "A Basic Buddhism Guide: Good Luck and Fate". Buddhanet.net. Retrieved 2011-05-13. ^ Thai Amulets (2007-02-09). "Thai Amulets". Thailand Life. Retrieved 2011-05-13. ^ "La Tunisie de A à Z, Khomsa". Saisons tunisiennes. Archived from the original on October 20, 2009. Retrieved September 10, 2009. ^ Pagès, Jean-Louis (2005). Tunisie-Plus (in French). Limoges: éd. Solilang. p. 33. ^ a b c d e Darke P.R. & Freedman J.L. (1997). The belief in good luck scale. Journal of Research in Personality, 31, 486–511. ^ Prendergast, G.P. & Thompson, E.R.(2008). Sales promotion strategies and belief in luck. Psychology & Marketing, 25 (11), 1043–1062. ^ Andre, N. (2006). Good fortune, luck, opportunity and their lack: How do agents perceive them? Personality and Individual Differences,40 (7), 1461–1472. ^ Maltby, J., Day, L., Gill, P., Colley, A., & Wood, A. M. (2008). Beliefs around luck: Confirming the empirical conceptualization of beliefs around luck and the development of the Darke and Freedman Beliefs Around Luck scale. Personality and Individual Differences, 45, 655–660. ^ Thompson, E. R., & Prendergast, G. P. (2013). Belief in Luck and Luckiness: Conceptual Clarification and Measure Validation. Personality and Individual Differences, 54(4), 501-506. Look up good luck in Wiktionary, the free dictionary. Look up luck in Wiktionary, the free dictionary. "Luck". Internet Encyclopedia of Philosophy.